Don't really know yet, but I keep writing it anyway. It's one of those posts where I start writing about something and end up writing about something else, I guess. It's also my second introduction for this post ... Ah well, here we go. Between testing the beta-rules for Lost Songs we had a few opportunities to test some other games, namely Against the Unknown and InSpectres. I aimed to give some light rules games a chance, since I haven't had much time to prepare anything. And although I've been told that they all had been great fun for the players, the experience had left me somewhat unsatisfied and a Game Master. I had a hard time so far finding out why that is. I couldn't quite put a finger on it, since I liked both games a lot (and will talk about them a bit more in this post, I suspect). My conclusions so far might not be very popular, but I'll at least try to explain them in detail. The short of it: Games with light rules force a DM to make uncomfortably arbitrary decisions where a more complex system would still produce information for a DM to work with. I don't like it. I really don't. I'll go into detail later on, but lets talk a bit about those games first. I read the game on a Friday morning on my way to work and DMed it that Friday in the evening. It's a fast read with very few rules to speak of (seems to be inspired by the GUMSHOE system) and I liked it quite a bit. I couldn't tell you why, though. The premise is not new: hardboiled-stories in the 1920s with some supernatural flavor. Cthulhu already does that quite well and that's just the biggest dog in the yard. It couldn't been the games main feature: as a default players will gain every clue necessary to solve a case. The reasoning behind this idea is that this way an adventure won't "fail" because the players fucked it up somehow (bad rolls and/or bad decisions ...). Anyway, at the time I thought "why not?! ", sounds reasonable enough. Let's run with it. Character creation had been a mix of players deciding what abilities they should take and all of us discussing what that actually means in the setting. The game had been set in the city Mayence in the year 1924, French occupied German city. The French had been working hard to assimilate the city, teaching French in school and all that. Of course a lot happened in the shadows in such an environment: black market, smuggling, trafficking, gambling, prostitution, you name it. Little known fact: after the first big war the winners had reduced the German army to 100.000 soldiers, but there still had been 400.000 soldiers under weapons. Unemployed, so to say, and still out for a fight. German politics at the time denied any knowledge or connection to those Freikorps (irregular military groups), of course. Anyway, I know a bit of history, so setting the mood hadn't been that difficult. The players really liked it, too, so everything was A-Okay, as they say. And yet, every time I had the impulse to make something a bit more difficult, the game's main feature made me say "Yeah, you get that clue ..." and every time I wished to get some system response to what was happening at the table I'd either have to decide what happened or fall back to using DM tools from other games. In the end it felt like telling the players the story I had come up with, only restricted by them asking the right questions (which is bound to happen with four experienced players or more). Again, the players had a blast, but as a DM I felt unchallenged and unhinged because the system really did nothing to restrain me. I consider this a bad thing. If I as a DM am not bound to certain rules in a game, it basically invites capriciousness. Not on purpose, maybe, but by default. A player of mine diagnosed I feel uncomfortable with this because I'm a "sandbox DM" and I believe he is right. But my main problem became the games main feature: they always find the clue. That's just wrong for how I DM games. Everything players can do should have consequences. Not finding a clue or making the wrong decisions actually produces consequences and I'm not to use it against the players? It just feels wrong. I know, many people like this mechanic, but please consider the following: the main theme of the game is finding clues and solving crime, the main feature makes that possible without any resistance. Now, were the game about killing monsters and taking their stuff and people would just get that done because they shouldn't fail at it, it sure would make people feel downright uncomfortable. Right? Or take it from a game design perspective: if the main feature is about waving through what is considered the main theme, doesn't that automatically make those things the main feature where the systems actually responds to what happens at the table? And wouldn't shift this the game actually away from the main theme? I still think Against the Unknown is a well done game and I'd really recommend it beginning DMs that know enough about the 1920s (history, pulp, hardboiled-fiction, Lovecraft, etc.) to fill a setting with flavor text. It's also recommended if you think the story told at the table and atmosphere are actually more important than bothering how those elements come alive in a game. Against the Unknown is Pay What You Want at DriveThru and I'd suggest checking out the bundle No Feet to Follow Us, No Hands to Strike Us because it's a lovely combination of a Weird Tales story, a follow up adventure and the rules themselves, all in one sweet package. It took even less time to prepare InSpectres than it took to prepare AtU, but I own the book for some time now and already had an opportunity to test it (a long time ago, but anyway). 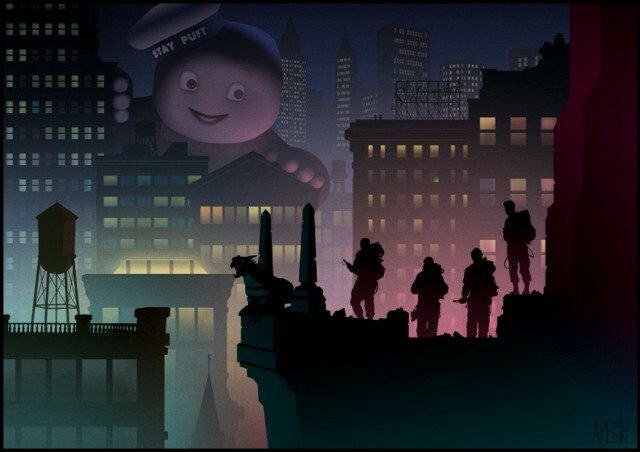 Players are encouraged to form some sort of Ghostbusters franchise and hunt the paranormal. Fun premise and fun rules. The main feature is that when players roll high when checking for the result off an action, they are allowed to tell what happens (and are free to add new details). Over the course of an evening they are to collect story awards (which they get every time they add something relevant to the story) until a show down is triggered. Another great feature to support this is the spot light. In every scene one player is allowed to take a spot light, which means he'll stand up and talk to the others players as if in an interview, talking about what happened in the story. It's a great way to add new details to a story, which (if the players can make it actually happen in the game) results in more story points and getting closer to a conclusion. In the end it's basically the players having narrative control in the game, the DM just awards story points and makes live difficult for the players when they roll low. I love those ideas and it really results in a fun game, but a total newb could DM it without ever breaking a sweat. There is just nothing to do for a DM but drinking beer and eating potato chips (things I'm never able to do when I'm DMing, so that's something, I guess). 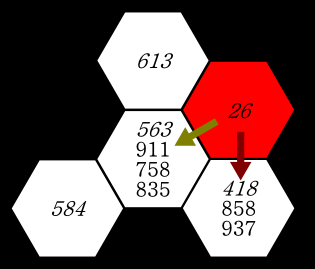 The idea behind the main feature of this game is very much the same as in AtU, it's about avoiding the (seemingly) common mistake of allowing players to fail in an adventure. But it results in something far more entertaining: the players are to come up with ideas how the story continues. It made my players realize what my job as a DM actually is and that it's actually hard work. I'm talking about providing believable continuity in a highly random and improvised narrative environment, of course (or "winging it", as they say). So although I love how this game works, it really ain't for me, because I DM to be challenged by the players and (ideally) the system at hand to create a compelling and believable story from all that talk and rolling the dice. I don't have that in InSpectres, so it really isn't for me (unless I'm in the mood to get drunk during DMing ...). That being said, I really recommend giving InSpectres a look and would totally play in such a game (a campaign, even). There might be dead tree copies around in your FLGS and DriveThruRPG offers a pdf of the game. There are also some supplements about playing this in InSpace or in a Lovecraftian setting floating around, if that's more your cup of tea. Just google it, there's some strong community support out there. "I'm talking about providing believable continuity in a highly random and improvised narrative environment ..."
This is where I strive and it's where I want the system, as well, to challenge me and feed me with input. I believe that players should not only be challenged, but also should be able to fail. They are not playing to tell me what happened, we play together to find out what happened. At least that's what they get when I'm DMing. The more I think about it, the more I believe that allowing them to find every clue in a game so that they don't fail in solving the crime is just one step away from not harming them so they won't die (which might be seen as another kind of failing to solve an adventure). And I won't have that in my games. So for all their clever and funny ideas, I won't DM those two games again (could be convinced to attend as a player, though) and I'd be hard pressed to DM games praised for their light rules again (or even bother reading them). It's just not for me. I'm not even sure I posted this or when, but I never made a cleaned up pdf-version of it for all of you to download, so I thought it might be a good idea to release this into the wild ... again. 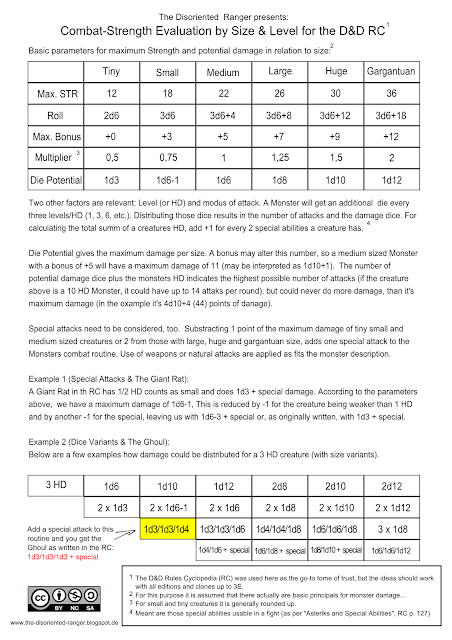 So if you ever wondered how to evaluate the strength of that monster you just came up with, this could help you getting some ideas. Same goes for building very big or very small character classes for the game (if you go with the "damage as HD" routine, mostly). I stumbled across this while doing something else, started cleaning it while thinking and re-reading it and thought, now that I've done this, I might as well post it again. 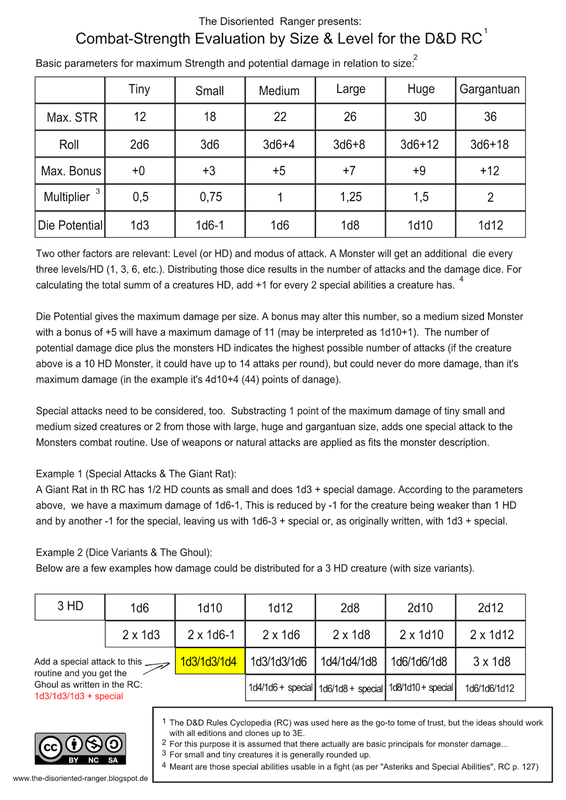 Something that always kind of irked me when reading monster entries, was the fact that there seemed no public reasoning behind the decisions behind the damage those creatures do. Open in new page or download the pdf to get a closer look. That's what I'll be working with for the moment. Seems like a whole lot of gaming to reach level 10 and it begs the question if I should really go old school with this one. It gets a bit tricky here. Traditionally round about half the xp needed to gain the next level is for the gold a character found on an adventure. Admittedly, we are talking huge sums here and I've seen the argument made every now and then that this premise is ridiculous (which is, historically speaking, true enough). 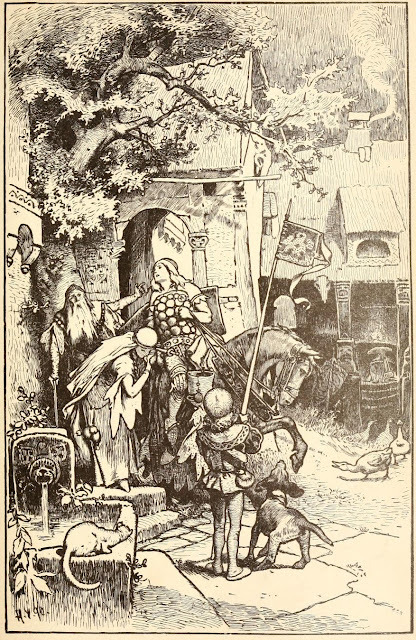 And yet, the game is (loosely) oriented on the Nibelungenlied and they were obscenely lavish in their spending*. So there is a very good reason to keep this relic in Lost Songs. But since those epics are about spending and not about finding, it's an ideal opportunity to introduce some carousing rules. The short of it is, every piece of gold a character is spending just for the sake of partying Big Time is worth 1 xp. Same goes for the money others spend for the characters. So if the characters decide to give a beautiful sword they found (say, worth 50.000 gold) to a king as a present and he decides to throw a party for a week, with tournaments and balls and what not, to honor them (say another 50.000), the characters would get 100.000 xp to share among each other. Furthermore, only partying will give characters to new equipment. The they are able to spend, the higher are the chances to attract wealthy donors. Buying stuff won't have a very important part in the game, since there aren't shops in a classic sense where you just get what you want like in a supermarket. They either find it or they get it for their generosity. There are net effects in the game to support the idea further. Characters will go on adventures during the proper seasons (late spring to early autumn) and stay at home (or where they are invited) to regenerate and spend the loot in those seasons where adventuring isn't possible or advised (late autumn to early spring)**. Other reasons to spend money would be courting a lady (or a noble) and a marriage is always a good opportunity to throw gold at strangers, so there is that (having a family at home will also help regenerating some of the permanent damage characters will most likely receive during adventuring, so there are good reasons for characters to have something like this going ...)***. This isn't an exact science, so characters need to spend at least as much gold as is needed to advance a level. They'll most likely aim for spending more and that's good fortune. For every 10% of the original amount they get a +1 to their fate roll for that season****. With reaching name level, characters will automatically earned enough good will and fame to get their own castle or wizard's tower or holy site just by reaching the level. I think keying gold and xp the way I described above goes a long way in adding the flavor I want in the game through the system instead of just through the narrative. Characters need to spend those amounts of gold and make those decisions, so festivities, tournaments, marriages and all that will be part of what they experience and thus part of the game. It's quite easy: every time characters deal or receive damage, they receive 10 times that amount as xp*****. This includes damage resulting in scars and permanent reductions of qualities, if they enrich the character's personal history ("This is the scar I received from Gunar Reyklinson in a fight about a beautiful horse...") or the setting ("We had told the stories about the evil ceremonies in that village to some travelling folk and it were those rumors that helped in the end to force that cult into hiding ..."). Same goes for the healing of permanent damage during holidays (you know, spending some quality time with the spouse and so on). With this all the bases are covered. 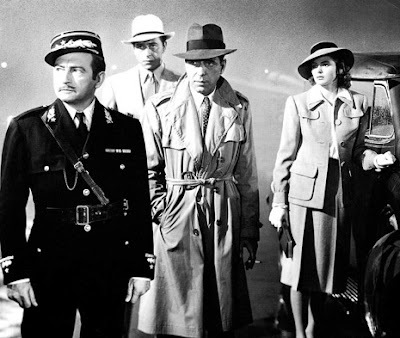 Good role playing, for instance, will result in "damaging" the reputation of others (reducing Fate of an enemy) or will make them nervous enough to make mistakes (reducing Nerve), to name but two examples. This way there is no need to add some artificial xp values for "good role playing" and so on. It's all in the game******. But dying a glorious death (you know, something the bards will sing about for decades to come ...) will give some extra xp to a player for his next character (I'm thinking 250 right now, half of level zero). Again, the main idea here is to reward role playing by using the system to advance a character's goals in a way that lets the epic tale of the characters grow. This is a starting point. Most of it has been a part of my house rules for some time, but not in the context of Lost Songs. Damage works a bit different in the new combat system and I need to see how all of this works in connection with each other. But that's what play-testing is for and I need to start somewhere. I hope this was able to give you all an idea where this is going. As always, comments, ideas and questions are very welcome. 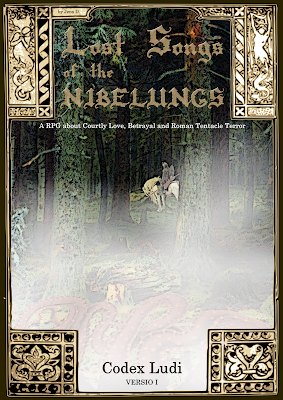 * If you want to get an idea what I'm talking about here, feel free to check out my posts about explaining the Nibelungenlied for gamers: Part 1 and Part 2 (there will be more, but that's a different story ...). ** I wrote a post about the seasons and adventuring, going further into detail. It can be found here. *** It's a post I have yet to write, but the basic idea here is to encourage players to build a dynasty, just like in the stories of old. Historically those successful warriors would end up being the ancestors of the kings to come, so (and this is far in the future, as far as this game goes) it will be possible to write games in later periods where the heroes are actual descendants of characters played before! **** We're still talking about Nibelungs here, so there is the real threat of getting betrayed and killed for some random reason (envy, revenge, love, take your pick). So every character needs to make that roll for the holidays. Likewise it will be possible to spend one point Fate to substitute 100 missing gold pieces for advancement. It'll just lower a character's chances to make it happy holidays (this mustn't ultimately mean death, might as well be a child's death or an open enmity ...). ***** this is not my idea but the damn best way to handle xp in all things D&D. I don't remember where I had found it originally, but here's a post with at least one reference. ****** A post with everything you need to know about Qualities can be found here. Historic setting, random territory? WTF?! Lost Songs is set in a quasi-historical setting, 550 A.D. in the former Roman/Germanic territory. We know what that looks like, right? Just take a look at google maps and you'll get the lay of the land easy enough. Major settlements? Not a problem. Wikipedia or some history buff will help. Or get a book about the subject in the local library, there are plenty of those, too. So why even bother with a random generator? See what I mean? It's strange. And it's from the more sophisticated Roman culture, which at the time already had been ghosts of a past long gone. How they did it in the Dark Ages? Your guess is a good as mine, but I'm pretty sure they only had a vague concept of their surroundings, like knowing what's notable in a days travel and a general idea what's in the cardinal directions. 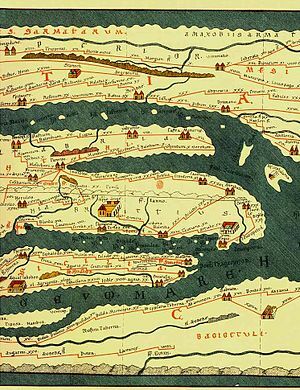 "Rome is to the south, cannibals are in the east ...", stuff like that. I believe mirroring this uncertainty by throwing the characters into (for the players) mostly unknown territory will get that little historical fact better across. They were second generation settlers in a strange and far away land and the first to explore it. It's an important aspect of the game. Okay then, but could it be done? It's been a while, but I once upon a time had an idea to use the result of 2d10 for more than just results of 1 to 100. It may also be 1d20 or d10 +/- d10 or two separate d10, for that matter. So with one roll you actually get up to 6 different results (example: a roll or 2 and 6 could be the numbers 26 (d100), 06 (d20, leading die 1-5 = 0; 6-10 = 1), 8 (d10 + d10), -6 (d10 - d10), 2 and 6). Make those numbers work together and you get a whole lot of data from just one roll (my first attempt at this, an anthropomorphic character-generator, can be found here and the post about it is here). To create a complex terrain you'd need more than one roll. 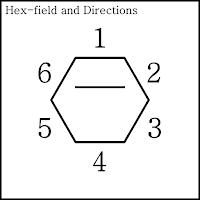 To make expansion easy I assume one roll determines 1 hex-field. Column A gives the direction of how the terrain grows and/or if any layers are added to it. 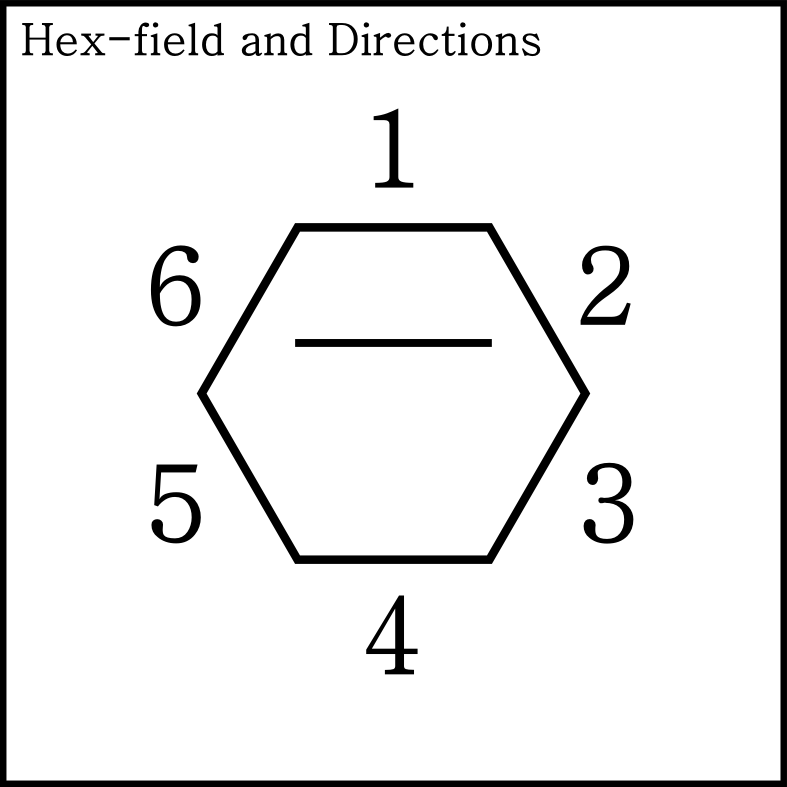 So you'll actually roll 3d10 per hex-field (the first roll is the exception, since it doesn't need a direction). Again, those are preliminary results only indicating the direction this is taking. But still, it gives me something to work with and it shows how the interaction between elevation and complexity creates all kinds of terrain. So far the premise holds. It produces the possible terrains between the northern sea and the alps in the south. First roll is a 26, so what we got is below sea level and moderate in complexity, the d100 table says it's a lakescape with lots of trees. That's nice. Let's go on. The next roll is 418, direction is and it's even deeper than the initial roll. It's a natural border, the landscape going from lakeside to rugged delta in the south. We also got two layers here, an 8 (connection to darkness) and a 9 (connection to fairy realm). I still need to write what the rest of the numbers mean (58 and 37), but it's clear why nobody would go there: evil and fairies make for a good monster mix and dangerous territory. 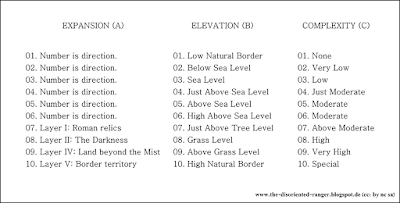 The roll after that is 563, direction is 5, 63 are relevant for terrain and end up being high but flat land with a river. It's a flat and windy area we some trees at the river. 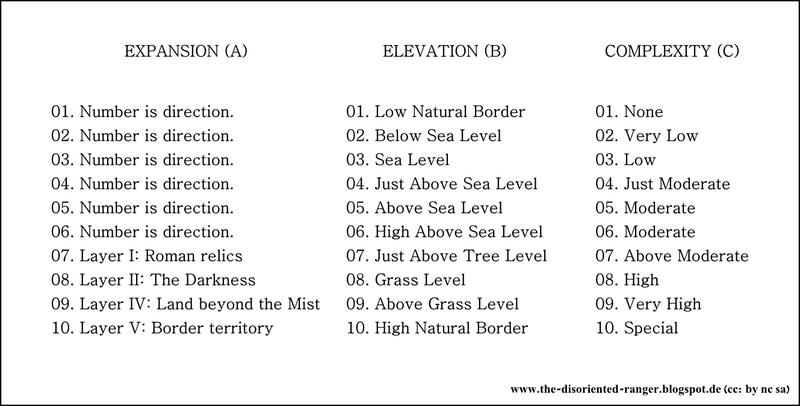 It's the higher terrain, so the water flows towards the lower numbers. We also have 3 layers here: 9, 7 and 8, some fairy influence, roman relics and a darkness. This should be interesting to explore, I think. 613, the last roll in this example, is another natural border, a coast line with islands, to be exact. So in theory it goes on like this until no more fields can be added. I need to test this a bit more and see if it works all the way through (a coastline could be directly border to some very high mountains, so I should address this, et cetera), but the basic principles work so far. A very good friend of mine offered to write a simulation of sorts to test this on a greater scale. We'll see if he comes through. It should be very interesting to see the results when he does. The following are just rough ideas I need to flesh out in the future. Rolling a d20 versus (BC) could give an indication of the weather. Roll under and the indicated weather is in the area, roll over and it's passing through (low numbers mean clear, windy, a bit cloudy, higher numbers would be rain, thunder storms and so on). The seasons should influence those weather tables considerably. This is where I'm at so far. I hope it gave some of you a good idea what I'm doing here and maybe even inspired some of you for their own system. 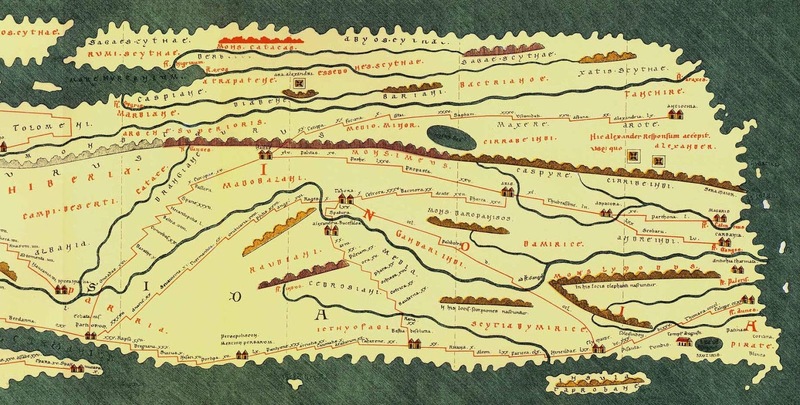 One of the reasons to write about this at this early stage is that here it's still easy to re-build this for a high fantasy setting, for instance (and I really wanted this written down somewhere ...). You can keep on reading with this example. Please, feel free to comment on this and ask questions, if some of this is unclear. I'd be happy to talk about this, of course. LSotN should not only a be set of rules but the full package, a free (not sure if I mentioned this before, but what I'm working on here will be free) pdf, even with artwork, if I can manage it ... Anyway, I hope some of you out there like this.